It appears Seifer misread. Thanks to A PR rep from Funimation who checked the trailer frame by frame Digimon Frontier definately does not appear in it. Fanboy Review regrets the error, and Seifer is currently getting his 12 lashings. A recent convention apparently had a new ShoDojo trailer that showed Digimon Frontier as one of these new series (Digimon Frontier was the only show that was recognized.) There had previously been no news from either Toei USA or Funimation about Digimon Frontier streaming. It’s also possible this may be the beginning of a new wave of Toei On-Demand titles. 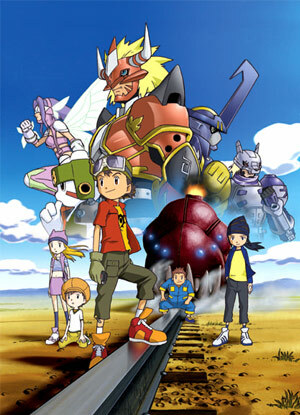 No news on Digimon Adventure or Digimon Tamers. Hopefully the trailer will be put online and we will find out more about this soon. ShoDojo is Funimation’s new Anime video and community website that will be launching soon.